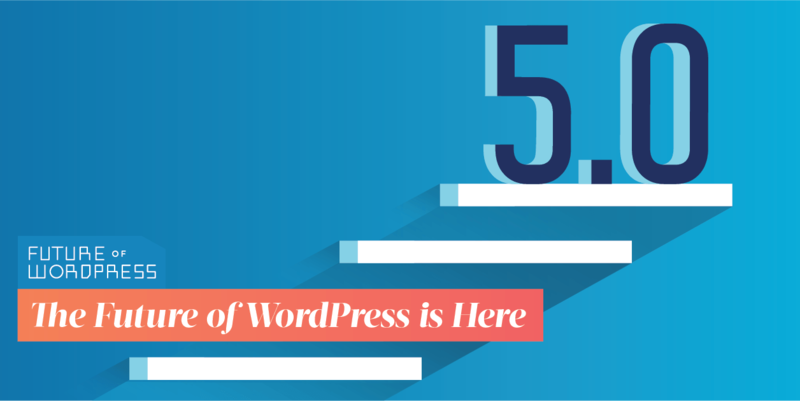 WordPress 5.0 is officially out in the wild, ushering in a new era of Gutenberg and all the enhancements it brings to the editing experience. The block editor (codename: Gutenberg) is now the default post and page editor for all sites running WordPress 5.0 or higher. Once your site is updated to 5.0, you’ll get access to all the new features and editing experiences Gutenberg offers. Great! Will your plugins work the same way? Good question! For the most part, yes, although when it comes to events (aka the events custom post type) it’s more of a choose your own adventure kind of deal. TL;DR: You can keep using the classic editor OR use the “Activate Block Editor for Events” setting (Events → Settings → General) to open up the new wide world of Event blocks and Tickets blocks for your calendar. #2: Yes, our plugins are Gutenberg-ready! A lot of work had to happen under the hood to get The Events Calendar, Events Calendar PRO, Event Tickets, and Event Tickets Plus ready for this change, and we have to say, it’s been 100% worth the effort. We’ve gone all-in with this new technology so that our 700,000+ users not only have a seamless experience with the arrival of the block editor, but also get to take advantage of new features and functionality as soon as WordPress 5.0 arrives. 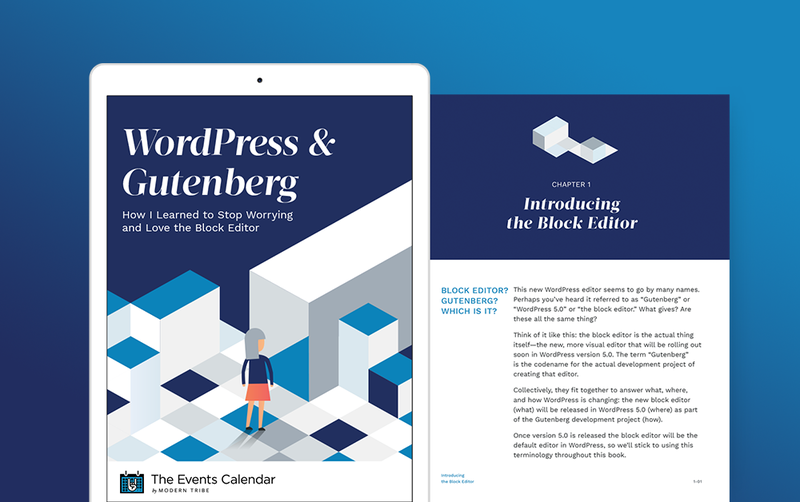 The introduction of the new block editor is a substantial leap forward for WordPress, and with that comes an understandable learning curve as site owners adapt to the Gutenberg interface. We’ve made it as easy as possible to get up to speed with our free Guide to Gutenberg ebook. Chapters one and two will give you a solid understanding of what the block editor is and how it works, with the rest of the book digging in deeper. Once you feel comfortable with the basics, you can experience the block editor first-hand by taking Gutenberg for a test drive. You can (and should) test it to your heart’s content before rolling it out to a live site. And of course, just in case something unexpected does happen, backups are your best friend. While the Gutenberg editor offers an exciting new post and page editing experience (especially for content creators), it’s understandable that you might want more time to get familiar with the block editor and test things out before going live. Relax—you don’t have to go all-in. There are options to selectively phase in the block editor (where you control which parts of your site it’s active on) or you can just keep the classic editor running until you’re are ready to embrace the block editor. Version 5.0 and the introduction of the Gutenberg block editor is a huge leap forward for WordPress and we recognize some of our customers may need additional assistance during this transition. Don’t hesitate to reach out, but please understand our response times may be longer than usual as we try to help everyone navigate these changes gracefully. The block editor is only phase one of the Gutenberg project that promises much more to come. As the WordPress core team continues rapid development beyond the editor, we’ll be iterating and improving our plugins right alongside them so your site stays ahead of the curve.